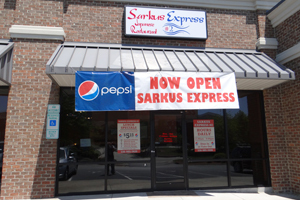 Sarkus Express is a locally owned and operated Japanese restaurant providing a pleasant atmosphere with fast high quality Japanese food. With over 13 years of experience in Japanese Cuisine the owner has perfected his culinary skills to create an authentic Japanese flavor in a variety of dishes. Sarkus offers fresh flavorful food at a reasonable price including low priced Lunch Specials every day of the week for just over $5. Currently you can come and visit us in Greensboro and Sanford. Come and taste the difference for yourself. You’ll love it!